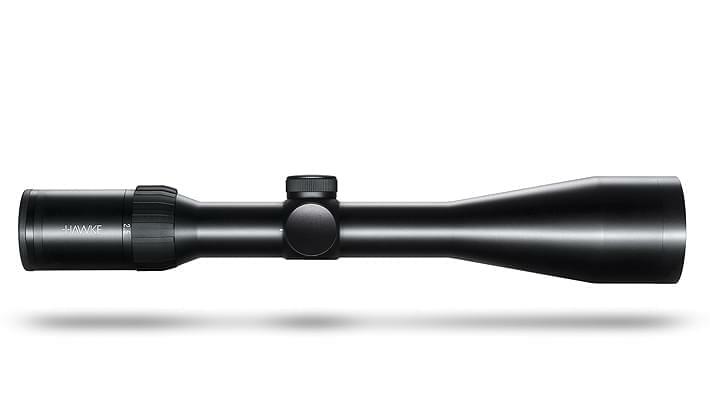 The TMX reticle was developed for long range, centre re shooting and around the common principles of Mil-Dot spacing when magni cation is set to 20x. As with Mil-Dot spacing, the series of larger hash marks represent a unit of angle called an mrad (milliradian) or mil for short. This is equal to a gap of 3.6 inches at 100 yards, or 3 feet at l,000 yards. The grid formation features etched reference numbers for ease of use and offers a clear target view due to the use of fine dots. Each cross has a see-through gap, allowing an unobstructed view of the target.